Today is a personal look and yet it relates to storytelling since that's so much a part of me. Canadian storytelling friend, Elinor Benjamin calls her holiday year's end review her Annual Foolishness. Mine is a return to my theatre roots. Yes, that's with an "re" as my undergraduate degree is in Theatre Arts. Back then we were taught "Your body is your instrument." That training hurt when Larry Linville died. I learned his lung disease could be traced back to years of smoking. 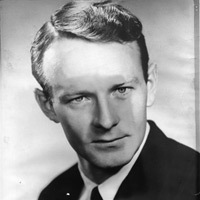 He was one of the professional actors at Webster College (now University) and the Loretto Hilton Repertory Theatre who trained me so long ago. Not many know he was one of the first American actors studying at the Royal Academy of Dramatic Arts and was a fine Shakespearian actor. After his success as Frank Burns in M*A*S*H, that was all Hollywood could see him playing. While working as a librarian, theatre rehearsal schedules were impossible, although I did bring a bit of it into some of my library work whenever possible. It certainly influences my storytelling style. When I switched to full-time storytelling I knew theatre needed to return to my life for its mental challenges, creativity, and a balance to my personal life. I included dance for physical fitness as it's my favorite exercise. Experimenting showed me that, while I love directing, it's too consuming to coexist with my storytelling, but I can manage to perform in roughly a show per year. Two years ago, as summer was ending, I auditioned for Chicago, the musical, figuring it would give me dancing at a time when classes had stopped and, even when they returned, for free. Didn't realize those warm-ups that were always the beginning of class weren't a part of rehearsals but my own responsibility. Developed a foot injury so bad I thought I would have to drop out! My foot doctor and later physical therapy got me through it, although it remains as a mild reminder: Your body is your instrument. I also discovered in this first return to a musical that I loved and missed the dancing and singing even though it takes way more effort than a standard play. My Annual Foolishness 2014 has just closed. 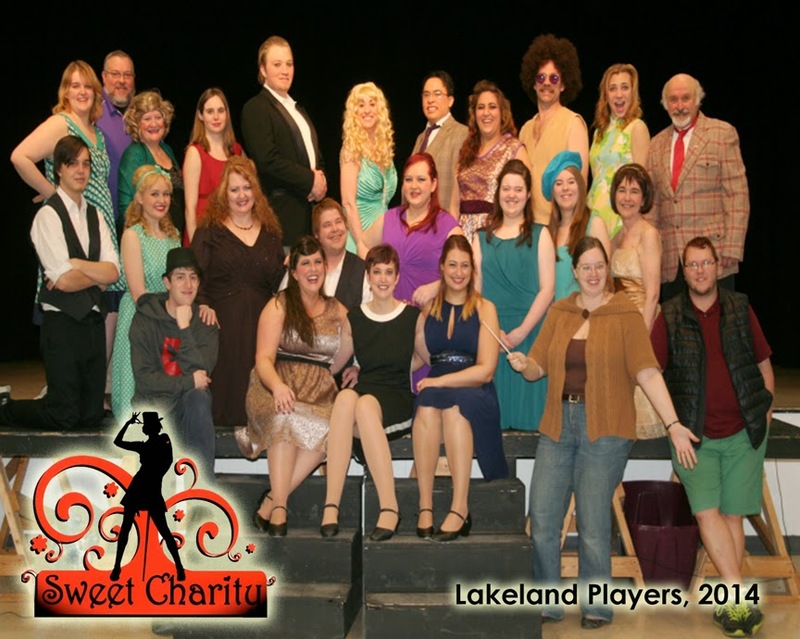 It was again with Lakeland Players and a musical, Sweet Charity, which is a great '60s period piece. Lots of dancing and this time I religiously did a warm-up before each rehearsal and show. Well, one time I was backstage right before opening and remembered! Did the most important stuff, since the opening didn't need me dancing until Big Spender and, especially, the 3 in 1 dance later on...the Frug!, a real workout of a number that made the hippie dancing for Rhythm of Life seem like a piece of cake. Hmmmm, rather like the $17 cake given to Charity in the "I Love to Cry at Weddings" number where we danced as Charity planned to leave her life we all announced in "Big Spender." Both Chicago and Sweet Charity were Bob Fosse musicals and you may notice I'm still in Withdrawal symptoms. There's an extra reason I treasure my 2014 Annual Foolishness as it came after a year of serious health problems in 2013. There were times it was a stretch I wondered if I could manage, but it's great to look back and know I did and still can! 2013 meant canceling nearly half my storytelling gigs while I looked after myself. Even in the midst of it I accepted a "small role" -- yes, I agree with Stanislavski "There are no small roles, only small actors." I took the part when an actor stepped out of Agatha Christie's The Mousetrap. Mrs. Boyle is killed by the end of Act One and I was determined to make the audience cheer when they find the old Bat's been murdered. I got it! Looking back at 2013, however, brought some interesting changes to my storytelling life besides The Mousetrap's Annual Foolishness. I took time off for some sabbatical time developing my storytelling work with Alzheimer's and dementia patients in what I call Elder Stories, which keeps their creativity and communication skills active. Here I also branched out to share stories too good to forget in my Keeping the Public in Public Domain portions of this site. Additionally I've long told some stories in voice and sign language and have increased my sharing the love of this visual way of communicating. 2014's Sweet Charity was worth all the effort of my Annual Foolishness focus. It also included a chance to work with a great bunch of people. "To live is to dance, to dance is to live!" So, just as I tell many stories that dance, I'm delighted to keep on dancing even as give my farewell to Annual Foolishness 2014.